There are many situations in which mobile video production gear is essential. Having equipment that is small and lightweight can make all the difference between getting the shot and missing it. It can also dictate whether you experience an exhausting day of shooting or one that is liberating. Creativity can flow more easily when your video gear is a lighter burden. That holds true for broadcast live stream feeds as well as recording. In this blog, we’re going to examine the options for lightweight, mobile live streaming equipment. We’ll provide some general advice for choosing equipment, and then look at a few specific recommendations. Let’s get down to business! There are a number of situations in which lightweight gear is essential. They include the following. Journalism often includes mobile broadcasts in remote locations. This may include traveling long distances, so gear must be able to fit in small spaces—cars, buses, planes, etc. Additionally, you may be shooting in small rooms, or with subjects who might be intimidated by huge gear setups. Imagine covering breaking news of an extreme weather event in a small, remote town. You want light, mobile gear in this situation for safety, and to get the best possible shot. Large events are often easier to cover with a number of small cameras rather than fewer large ones. Having a smaller camera and being mobile allows your operators to roam the event, finding the best shots on their own. Footage can be sent to a central location for rebroadcasting. Lighter equipment is also much less tiring to use when shooting for a long event. In spaces that aren’t made for video production—e.g., everywhere behind the scenes—quarters may be too cramped to use full-size video gear. Behind the scenes footage also often involves traveling along with someone as they move. Carrying a small camera is much easier when navigating small hallways, parking areas, meetings rooms, and vehicles. Filming documentaries or similar footage often involves a lot of cinema verité-style of shooting. This means being on-the-go, keeping an unobtrusive profile, and being ready to shoot at a moment’s notice from anywhere. 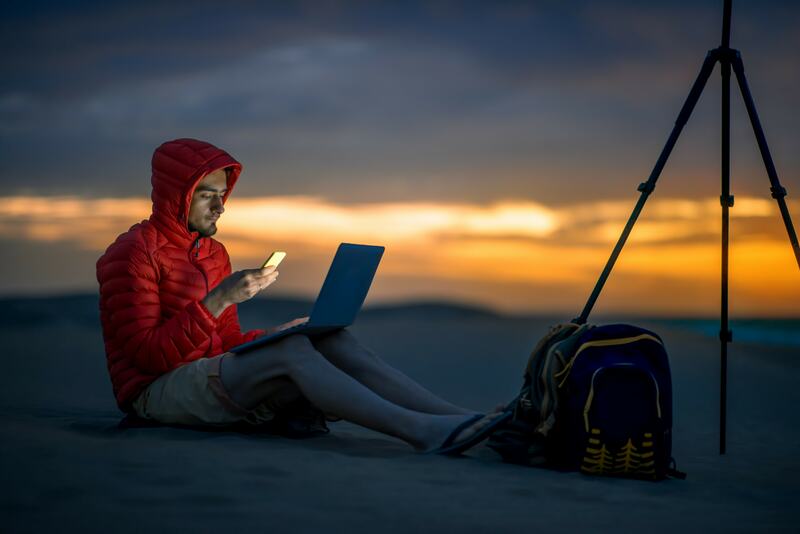 Finally, lightweight gear is essential for any streaming or recording in remote locations. In these situations you will often be carrying all your equipment around by hand or in a backpack, so every pound you can save makes a big difference. Hiking with your gear for miles on remote trails is hard enough without that gear weighing a hundred pounds! Any choice involves trade-offs. For the absolute minimum in size and weight, you can use a camera like a GoPro. Believe it or not, footage from these cameras has been used on every major television network. However, film too long with a GoPro and its limitations become obvious. It’s a niche tool. To that effect, we’re going to focus on professional-grade equipment. For example, we’re not going to look at consumer or prosumer grade video cameras. For more on this subject, check out our previous blog. Instead, we’re going to stay squarely focused on equipment that provides broadcast quality bitrates, features, and integration. First, let’s take a look at mobile production equipment. 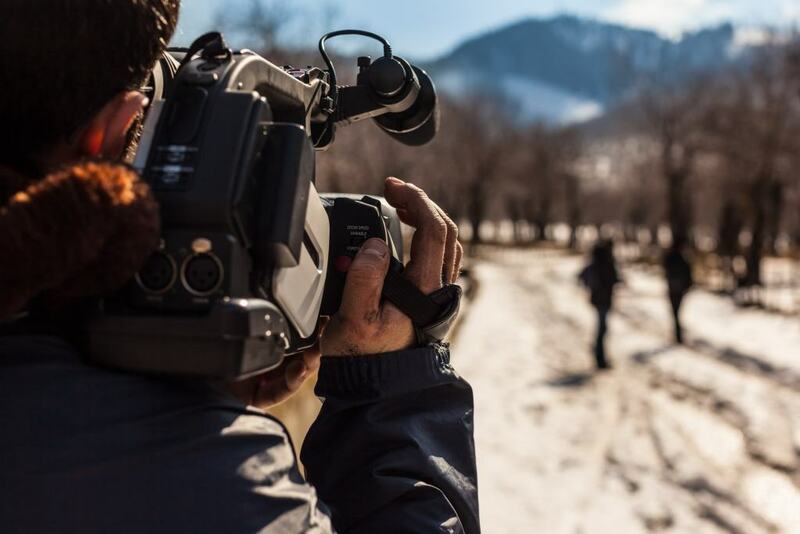 For broadcast video live streams, field production has two main goals. The first is switching, including transitions and titles. The second is encoding and delivery. Here at DaCast, we’ve reviewed the mobile production suite produced by TeraDek. This is the Live:Air suite of apps for the iPad and iPhone. With a new-model iPad, Live:Air allows you to accept the feeds from four different cameras, cut between them in real-time, and add titles. It’s a surprisingly robust choice that is affordable and highly portable. It’s also possible to use a small, lightweight Windows or Mac laptop running one of the best streaming video software applications, or a dedicated mobile hardware platform such as those made by Tricaster. This option may be better if you require more control and features. For a good snapshot of cameras that fit this bill, check out the bestsellers in the “Professional Camcorders” section of the B&H Photo Video website. They’re the largest supplier for professional A/V equipment on the planet and have been for quite some time, so this list shows what’s really in use. Consider as well that resolution plays a role. For example, at the time of writing, the bestseller is the Canon XA30, which only records at 1080p. If you’re purchasing cameras in 2017 or beyond, we’d recommend investing in 4K-capable equipment to remain future-proof for a few extra years. The JVC GY-HM170UA or Sony PXW-Z150 are better options. Blackmagic Design also produces a number of extremely small, innovative cameras. Most of the cameras mentioned here cost between $1,500 and $4,000. The next piece of live streaming equipment you’ll need to broadcast video live on the go is a method of getting online. There are a variety of options here, including 4G LTE cell networks or using a satellite truck. However, the most mobile, robust, and widely used solution is called network bonding. Network bonding devices aggregate the bandwidth from multiple sources, most often a collection of cellular signals, but sometimes WiFi or Ethernet as well. Providers of network bonding devices for mobile live streaming include LiveU, TeraDek, VidoVation, and StreamBox. Typically these devices include USB ports or other means of connecting 4G LTE cellular network adapters. Subscriptions to the cellular data plans are purchased separately, and may be a significant added expense. Be sure to include the cost of data in your budget for mobile live streaming. The next important consideration is audio equipment. As you know, audio is often more important than video quality. For professionals, this means XLR connections. Be sure that your chosen camera supports XLR gear. All of this equipment will be relatively small and lightweight. It’s possible to get smaller and lighter using stereo audio cables, but the equipment in this class isn’t professional-grade. We don’t recommend using a boom mic for mobile shoots, but beyond that, your choice of audio equipment will depend more on your specific shooting situation than on weight considerations. For general use, a shotgun microphone can be mounted on each camera. This provides a directional, high-quality recording that is suitable for light-and-fast usage. For situations when dialogue or individual recording is essential, consider using a lavalier (or “lav”) mic. These can be wireless for use at a distance, or attached directly to the camera or audio mixer with a cord. A handheld interview microphone can be appropriate too. 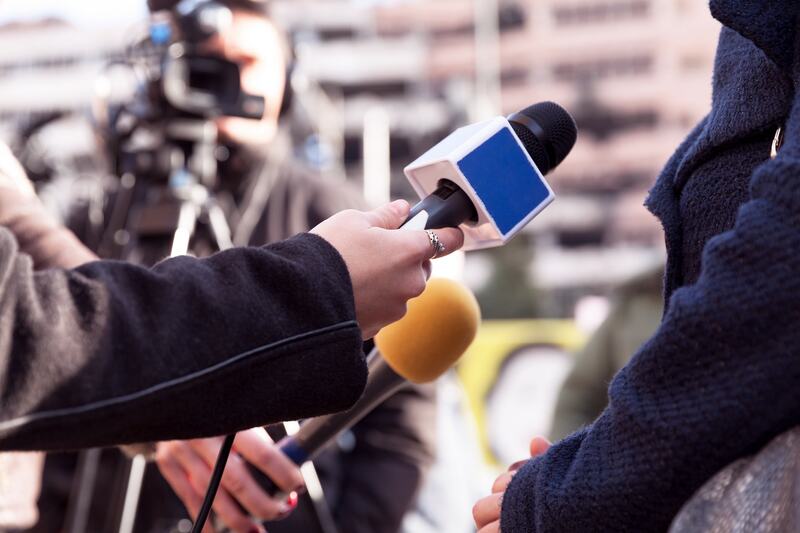 Whatever microphones you are using, be sure to monitor levels continuously, consider the influence of wind on your audio recordings, and use screens as necessary. Of course, you’ll need other gear for mobile recording. This includes basic equipment like memory cards and extra batteries. Generally, this stuff is small and light—but don’t skimp. Running out of battery life in the middle of a shoot is one of the worst things that can happen. You’ll also need a streaming video service provider to broadcast video live. You might consider investing in a tripod as well. Most professional video tripods are heavy and cumbersome. The heavier the tripod, the more stable the shot. However, for running and gunning, look for a lightweight tripod in the 5-10 pound range. Carbon fiber is usually the lightest material. Even better is to avoid the need for a tripod via a solid, stable shoulder stance. It’s harder than it looks, so be sure your cameraperson is experienced before relying on them to shoot without stabilization. This article is a short introduction to the subject of simple, lightweight professional gear for broadcast video live streaming. It’s a complex subject, but the best systems are relatively easy to put together and use. The suggestions we’ve included here have performed reliably for a wide range of users and have been well reviewed. With this information as a starting point, it should be relatively easy to put together a set of equipment that is capable and lightweight. What do you think? Do you use professional-grade lightweight mobile equipment? What are your favorite pieces of gear? What hasn’t worked very well for you? Let us know in the comments—we love to hear from our readers, and love how the video community shares best practices and experiences freely.